[Update]: Since publishing the story, Tealium has gotten in touch with Digit. As per a company spokesperson, "Tealium does not use Facebook data in the manner described by the researchers: Tealium's software is used by companies to manage their own user data, and Tealium itself does not use that data for any purpose and does not buy, share or sell that data. Tealium is an advocate of customer data privacy, strong data governance, and transparency." Meanwhile, Facebook told the technology website Tech Crunch that they were investigating into the security research report. The researchers found two types of vulnerabilities: Seven third parties abusing websites' access to Facebook user data and one third party using its own Facebook "application" to track users around the web. British political consultancy firm Cambridge Analytica was found misusing users' data collected by a Facebook quiz app which used the "Login with Facebook" feature. Facebook changes its privacy features... Again! "We've uncovered an additional risk: when a user grants a website access to their social media profile, they are not only trusting that website but also third parties embedded on that site," the report noted. The researchers found seven scripts collecting Facebook user data using the first party's Facebook access. "These scripts are embedded on a total of 434 of the top 1 million sites, including fiverr.com, bhphotovideo.com, and mongodb.com," they wrote. The user ID collected through the Facebook API is specific to the website (or the "application" in Facebook's terminology), which would limit the potential for cross-site tracking. "But these app-scoped user IDs can be used to retrieve the global Facebook ID, user's profile photo, and other public profile information, which can be used to identify and track users across websites and devices," the researchers warned. "While we can't say how these trackers use the information they collect, we can examine their marketing material to understand how it may be used," they noted. OnAudience, Tealium AudienceStream, Lytics, and ProPS all offer some form of "customer data platform", which collect data to help publishers to better monetise their users. Forter offers "identity-based fraud prevention" for e-commerce sites while Augur offers cross-device tracking and consumer recognition services. Hidden third-party trackers can also use "Facebook Login to deanonymise users for targeted advertising". "This is a privacy violation, as it is unexpected and users are unaware of it," the researchers said. There are steps Facebook and other social login providers can still take to prevent abuse. "API use can be audited to review how, where, and which parties are accessing social login data. 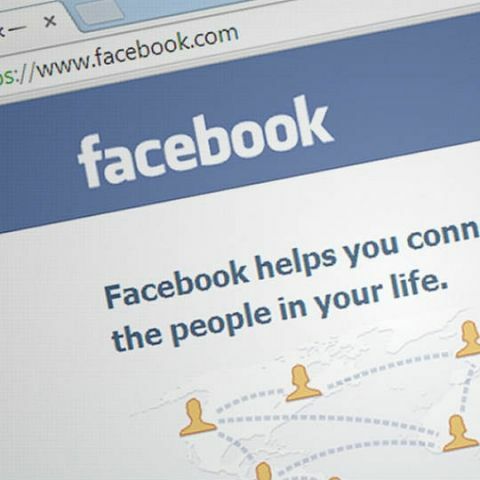 Facebook could also disallow the lookup of profile picture and global Facebook IDs by app-scoped user IDs," the report emphasised. "It might also be the right time to make Anonymous Login with Facebook available following its announcement four years ago," the researchers added.